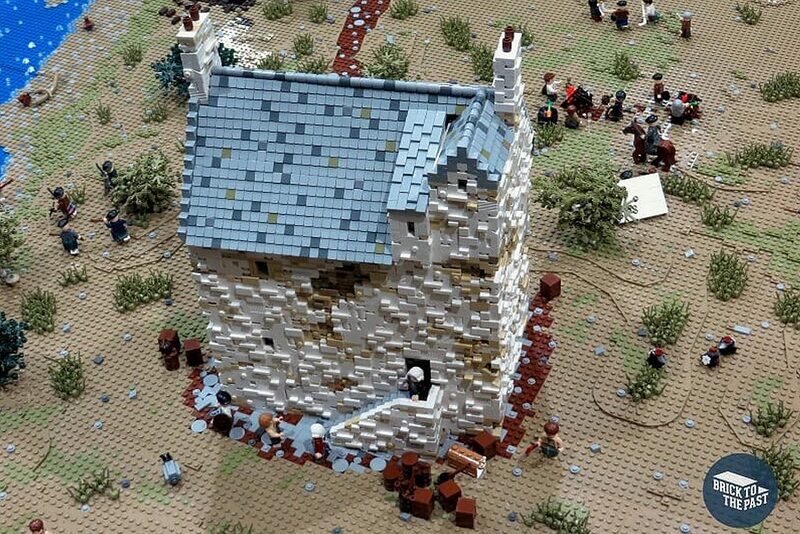 Earlier this year, Dan Harris used around 7,000 bricks whilst creating Corgarff Castle in LEGO. In today’s blog post, he explains how he did it. Way back in 1990 I received a LEGO castle for my 8th birthday. It was awesome. Sat upon a raised base plate resembling a mountain, it had a drawbridge, tower and dungeon and was packed with knights, archers and men-at-arms. I’d wanted the set for ages, partly because castles are cool, and partly because it looked a bit like some of the local Welsh castles my parents would drag me around during my summer holidays. I can probably point to this experience as the start of the path I find myself on today. Since 2014 I have been a builder with Brick to the Past. 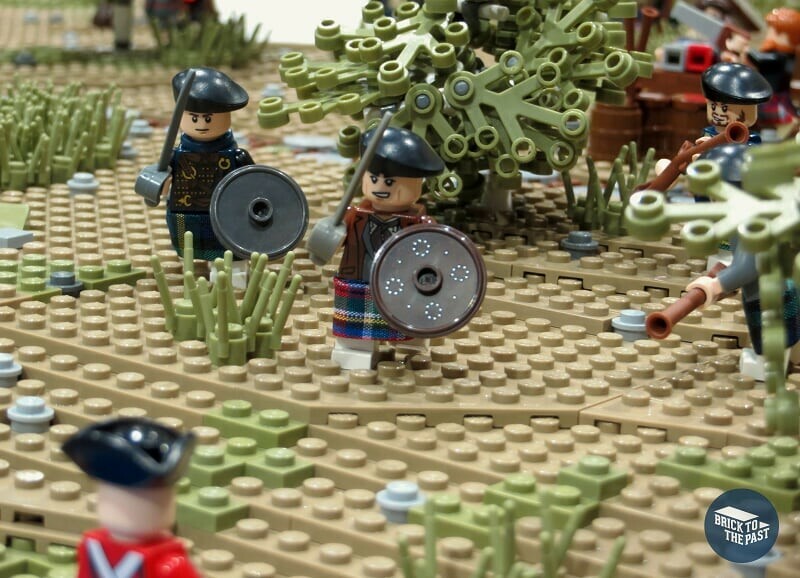 We specialise in creating massive, detailed and well researched LEGO® models with historic themes. There can’t be many jobs where you start your training at the age of 8, and while I have to confess to a pretty long break in my studies, this has been an education some 20 years in the making! This summer we have a small exhibition at Corgarff Castle. The model on display is of the castle, but rather than recreating it in its present form we decided to build it as it might have looked during the Jacobite Rising of 1745. During the 1689 rising, Erskine was a government supporter. The Jacobites punished him for this by setting Corgarff on fire. 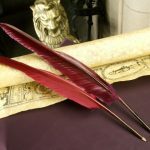 In 1715, he raised the standard beginning the Jacobite rising of that year. The government punished him by setting Corgarff on fire. His tendency to change sides earned him the nickname ‘Bobbing John’. During the 1745 rising, Corgarff served as a munitions dump and an intended meeting point for Jacobite forces. The latter never happened, because the castle was raided by government troops in March 1746. The Jacobites took flight, leaving the greater part of their stores behind and Corgarff in government hands. After the collapse of the 1745 rising, Corgaff Castle became a base for government troops. The army made big changes, including adding a floor, installing large Georgian windows, adding ‘pavilions’ to its gable ends and surrounding the whole thing with a curtain wall. You can see all of these features when you visit today. When designing our model, we looked at the drawings made by the government engineers who did the alterations. 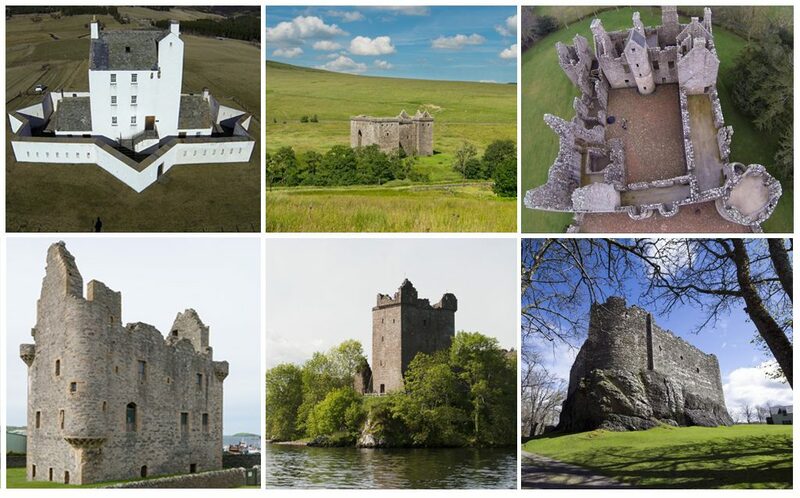 Where information was missing, we looked to the remains of other castles to learn about more detailed features such as windows and eaves. Using multiple sources of information we were able to make a good guess at the castle’s appearance before the government got their hands on it. This is not to say we don’t apply artistic license. For example, the texture and detail on the walls creates visual interest rather than representing absolute historical accuracy. We navigate this line very carefully when creating our models. A further challenge when representing real buildings is getting the scale right. This is because while mini figure scale builds are generally scaled to around 1:40 to 1:44, LEGO mini figures aren’t very good representations of human beings. Even so, mini figures are one of the most important parts of any model because they help to create drama and tell stories. What we’ve made is the closest representation of Corgarff we could get, using the form of the mini figure and the broader landscape as our guide. 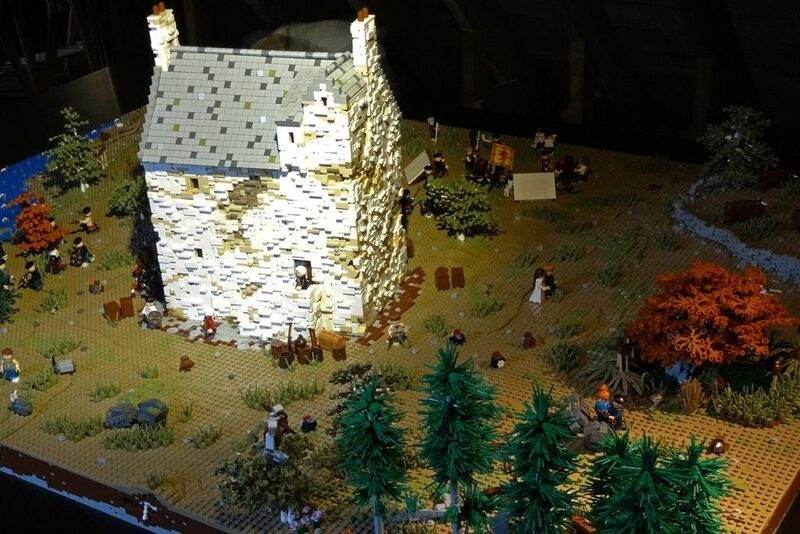 Our model is dotted with little scenes that might have been typical of an encamped Jacobite army, inspiring visitors to imagine what life might have been like for them. Some of the scenes, we are pleased to say, are pretty gruesome. 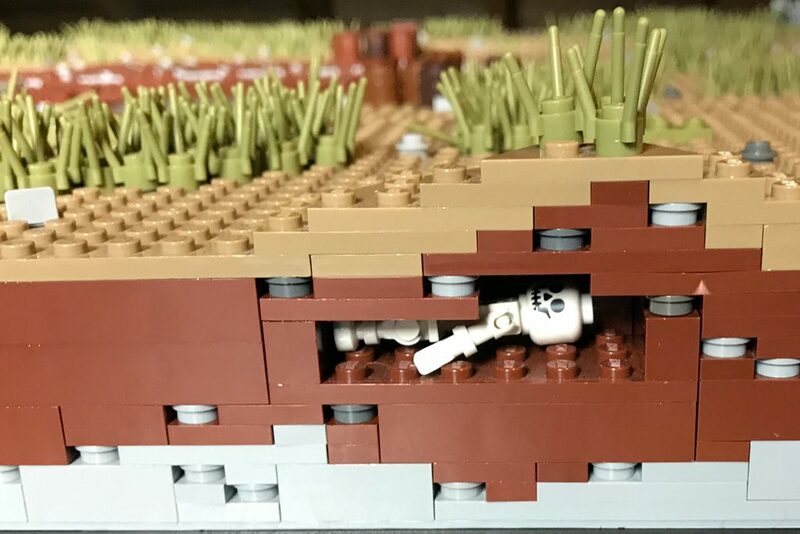 No detail is too gruesome for Brick to the Past! 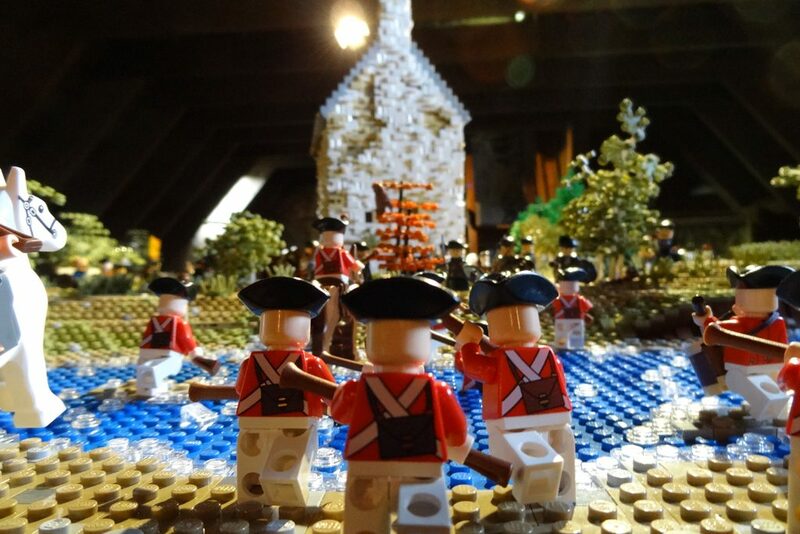 Meet the LEGO mini figures at The Jacobite Risings: The Fight for Britain’s Throne, on display at Stirling Castle until Friday 1 February 2018. Uncover LEGO wonders from around the World at Fort George with our Brick City exhibition, on until Wednesday 10 January 2018. Learn more about the history of the Jacobites by downloading our eBook, ‘On The Trail of Bonnie Prince Charlie and the Jacobites‘.